Nine teams traveled to Accra on 7 June with one goal on their mind: become the 2017 Enactus Ghana National Champions and earn the right to represent their country in London at the Enactus World Cup this September. With an additional 17 teams in attendance to observe and learn, those nine teams presented their initiatives to 21 judges in the first round, who narrowed the field to a final four teams. Those four teams then took to the main stage to present their impact not only to the 24 top executives serving as judges, but to the entire delegation of nearly 420 people. In the end, judges selected the team from Kwame Nkrumah University of Science and Technology as the national champion. 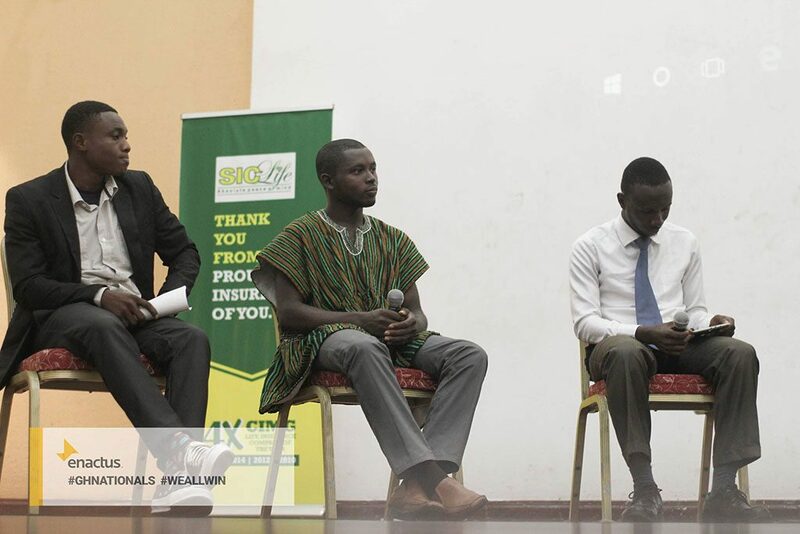 Enactus KNUST impressed judges with their BidiGreen project: the team developed a new smokeless briquette that is used in the same way as hardwood charcoal but with significant health and environmental benefits. 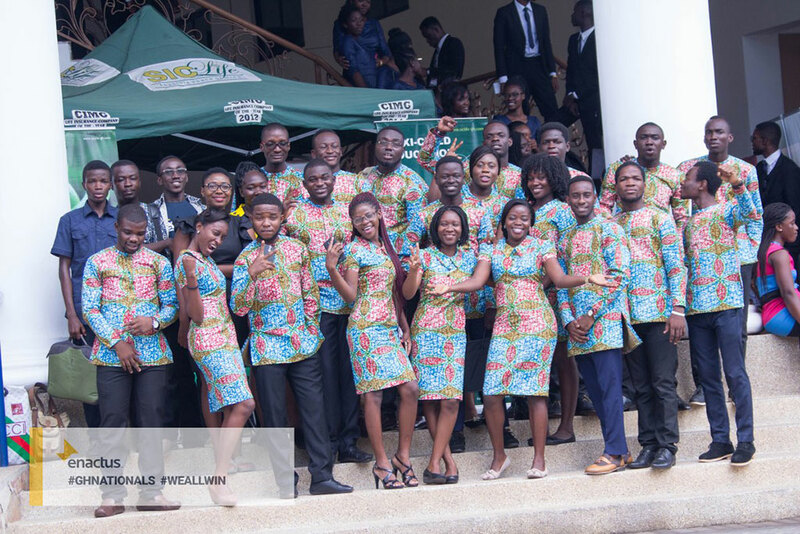 But like all Enactus National Competitions, the Enactus Ghana event included much more than team presentations. In addition to registration and networking, the first day featured the Barclays ReadytoWork session, which provided students with hands-on training on topics including managing money, interpersonal relations and entrepreneurship, addressing a series of soft skills needed to succeed in the job market. The second included the UN Ideation session, a discussion forum on the Global Goals. 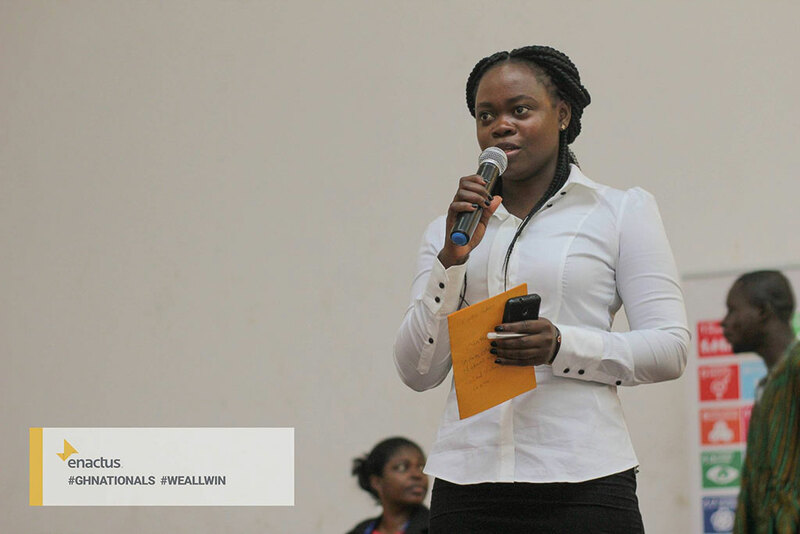 Facilitated by Cynthia Prah, National Information Officer for the United National Info Centre, a panel of three students and one alumnus shared ideas on three of the 17 goals, in line with the two Races we launched earlier this year: clean water and sanitation; no poverty; and zero hunger. Next was the Action Leaders Forum, which explored #StopGalamseyNow, a social media campaign led by media station Citi FM to bring awareness to illegal mining. Moderated by Kojo Akoto Boateng from Citi FM, Enactus Ghana’s media partner, the panel included Sulemanu Koney from the Ghana Chamber of Mines; Jerry Ahadjie from the Minerals Commission; and Former Enactus Ghana Board Chair, Joe Winful. 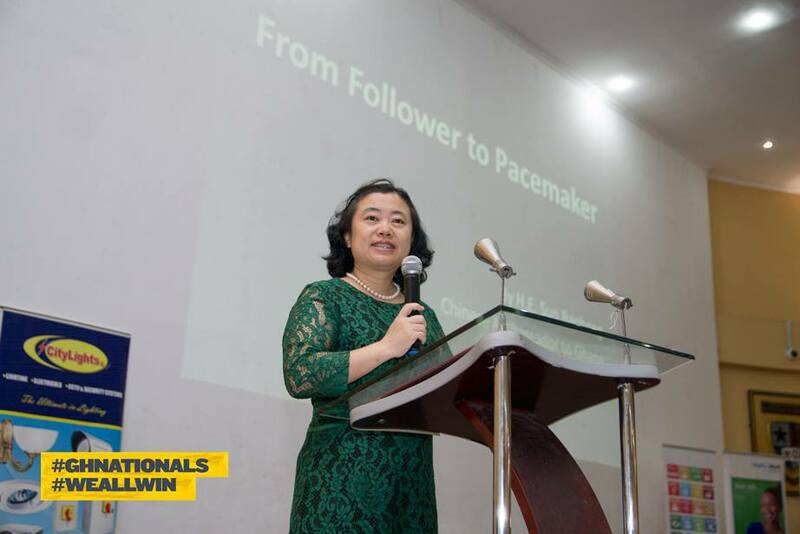 Attendees were treated to two keynote speeches during the event: the Chinese Ambassador to Ghana, H. E Sun Baohong, who shared her thoughts on humanity, research and development, and science and technology, in her speech “From Follower to Pacemaker”. The Acting Chief Director of Ministry of Business Development offered insights on local small business in Ghana, noting the positive socio-economic impact Enactus has had on the local economy over the years and pledging their ongoing support for the program. the Chinese ambassador shedding light transforming Ghana into China. The two-day event was covered by numerous media outlets, including Prime TV, Joy FM, and Business and Financial Times. And thanks to the great work of the Enactus Ghana social ambassadors, all the highlights were captured on social media as well: simply search #GHNationals to experience it for yourself! Want more from this year’s Enactus Ghana National Competition? This video will make you feel like you were there!